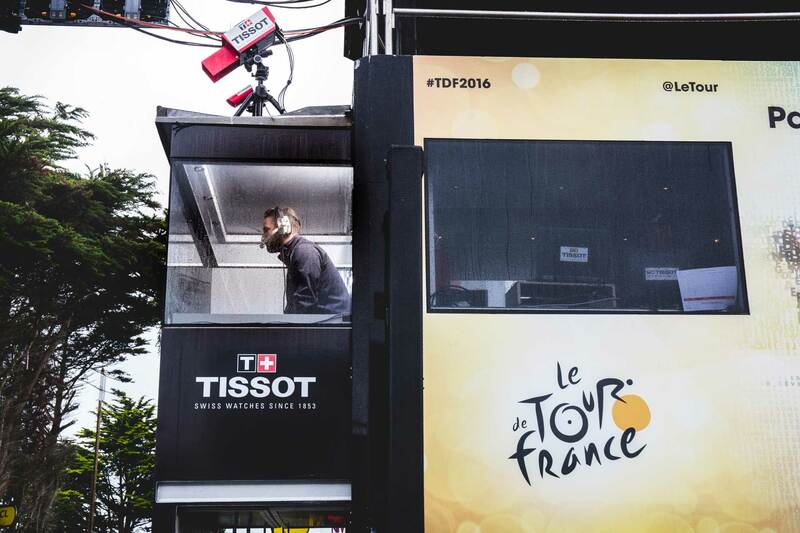 Keith W. Strandberg shares a few words from the recent conclusion of the 103rd Tour de France in Paris and Tissot's all important role as tour's timekeeper. Tissot has really been making things happen in sports recently. 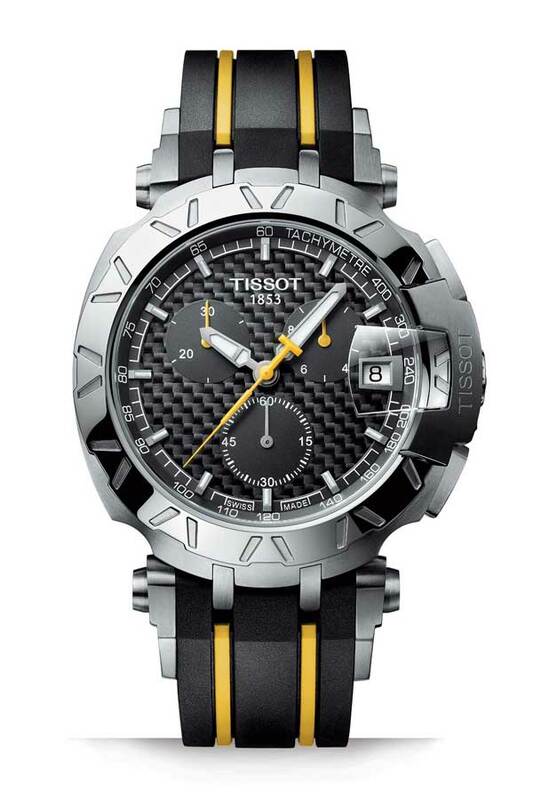 First its blockbuster deal with the NBA, and then Tissot once again became the Official Timekeeper and the Official Watch, bringing all its expertise timing sporting events to bear on the Tour. 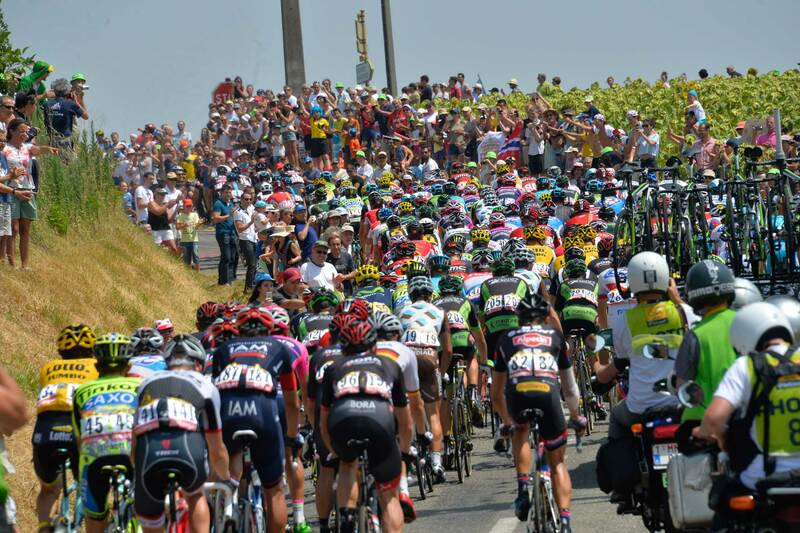 The Tour de France is a key sporting event in Europe, one that is followed by fans all around the world. 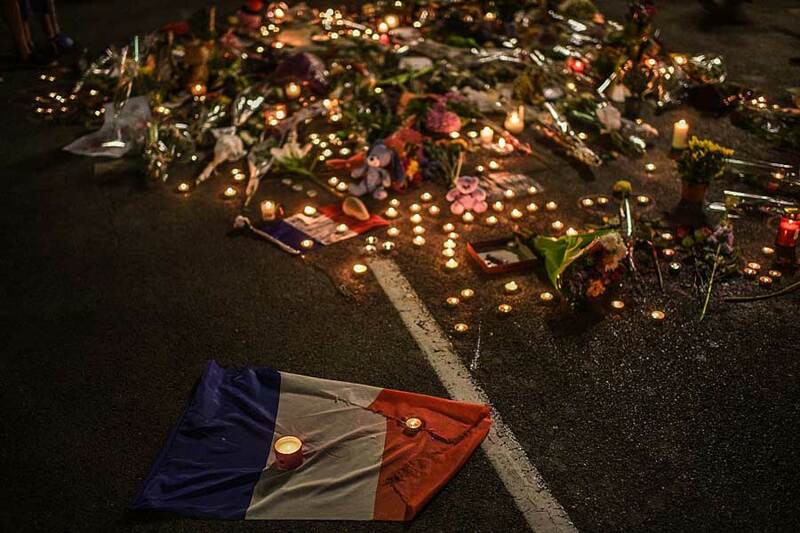 This year, the Tour started in France, dipped into Switzerland for a few days, then finished up in Paris. 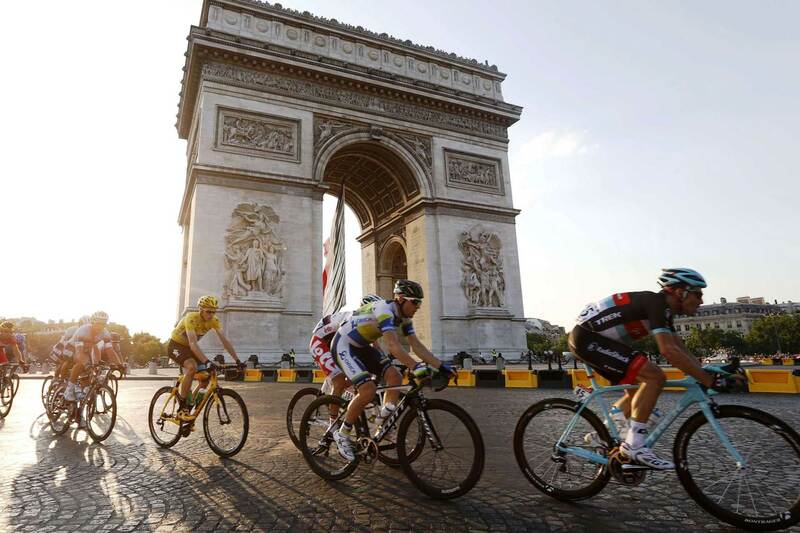 I was invited to Paris by Tissot to see the finish of the Tour. On this last stage, the majority of it is ceremonial, more like a parade into the city than a race, that is until they get onto the Champs Elysées, then the sprint begins. 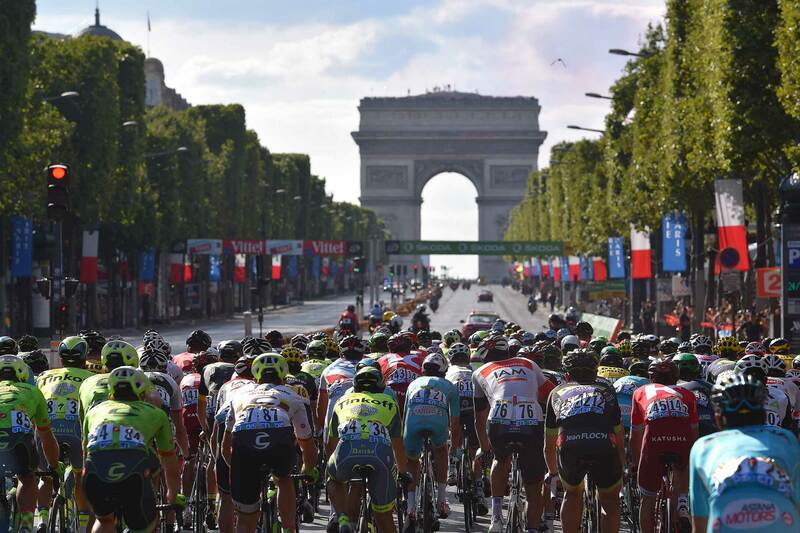 Even though the winner of the Tour, Chris Froome, was already decided, it was exciting as racers vied for the final stage win in front of the large crowds in Paris. 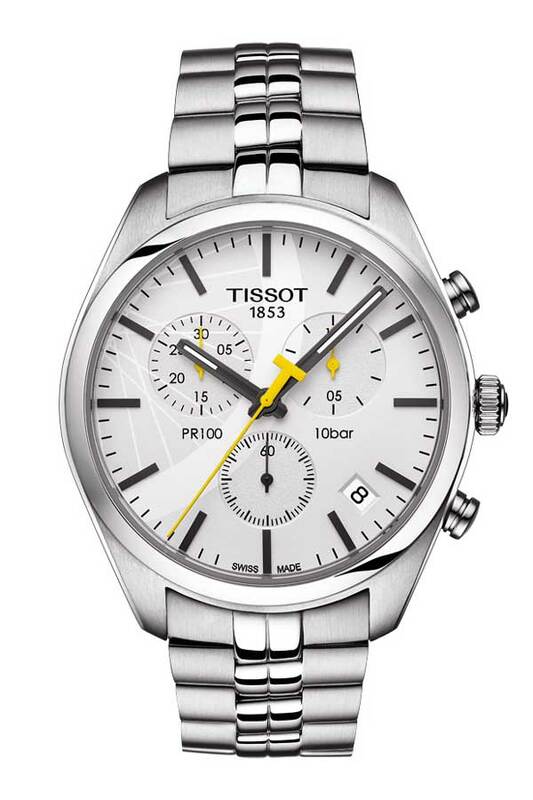 Timing the Tour de France is not a simple thing, as riders can cross the finish line only thousandths of a second apart, but Tissot is more than up for the task, having been innovating in the area of sports timekeeping for more than 50 years. Especially adept at timing cycling, Tissot has been a partner with UCI, sport cycling’s international governing body, since 1995, timing road, trail, mountain bike and BMX world championships and time trails. Timing events like these might have started with hand-held stopwatches, but today Tissot uses the absolute pinnacle of technology – bikes are equipped with transponders, sensors are embedded in the tracks, high speed cameras (1,000 frames a second) are at the finish line, and computers control the entire system. 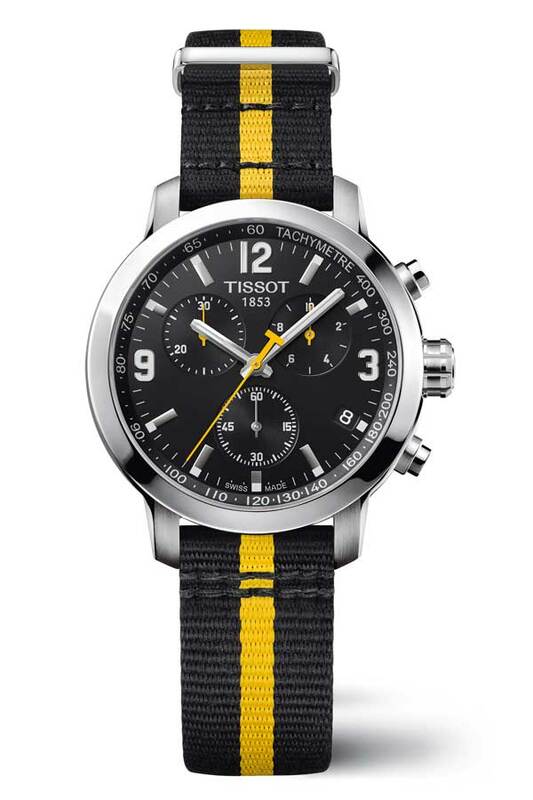 Tissot collects an incredible amount of information while timing and the brand is committed to sharing the extraordinary moments of the Tour de France with its customers and lovers of cycling around the world. Tissot doesn’t just provide the timing, the most essential element, but the brand also ensures the public can enjoy every second of the event by providing intriguing statistics, in real-time and over the course of the race. 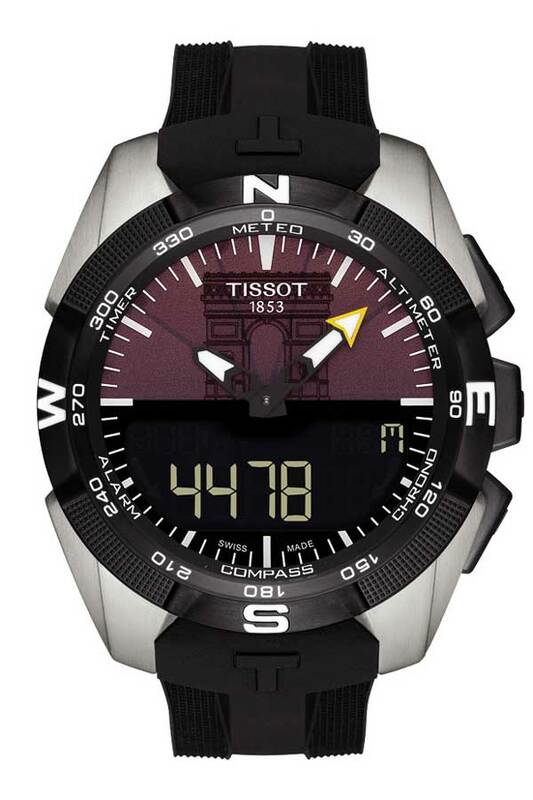 Following every race, Tissot displays the most essential times of the stage with, for example, the average time, the smallest margin between two racers or the second where everything changed. In turn, the company benefits from a great visibility as its logo accompanies the timing boards and displays, along with banners and signage along the course. 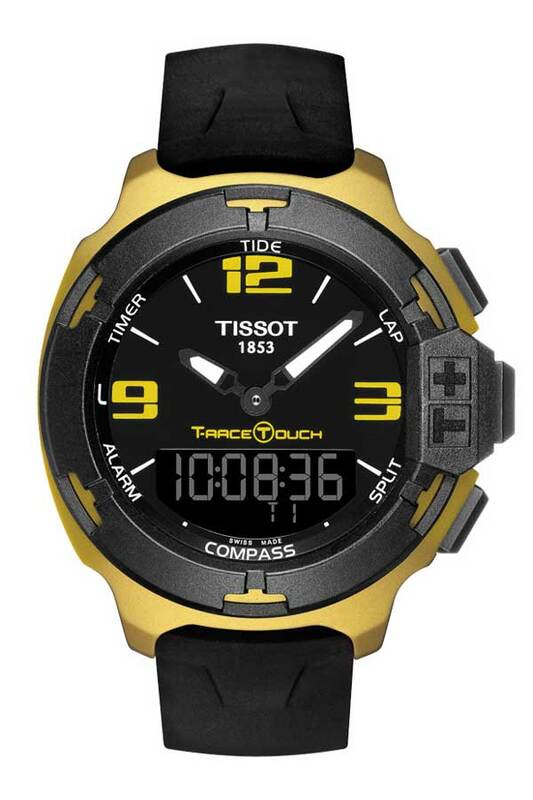 This year Tissot, to celebrate its re-involvement with the Tour de France, presents five special edition timepieces for the Tour – a PR100, a PRC 200, a T-Race, a T-Race Touch and a T-Touch Expert. It was a real treat to go to the finish line with the company responsible for the finish line, and an event I’ll always remember.